Both members born in Italy, but living in Berlin these days, Dadub are working hard to get their sound heard. The project consists of two guys, Daniele Antezza and Giovanni Conto, who actually only started collaborating once they had both moved to Berlin. Crafting their sound in a serious manner and with eye for detail, its slowly but surely spreading from festivals like Melt and Sonar to club's in Berlin, Moscow and New York. This is the first live-act to date who've contributed a recording of their live-set for Invite's Choice. This one was recorded at Nicosia, Klub D in May 2012. A clearly distinguishable sound and vision is what Dadub is about and what you'll be able to hear from them this week. 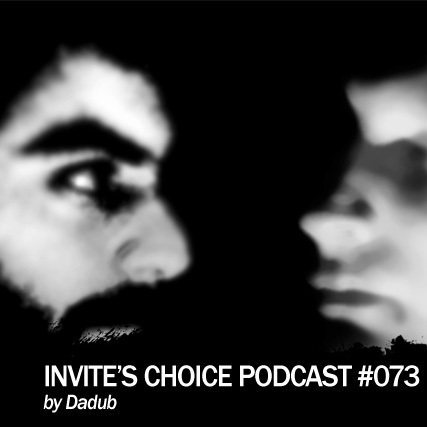 I'm very happy with and impressed by this almost 80-minute long podcast for Invite's Choice . Thnx Dadub!